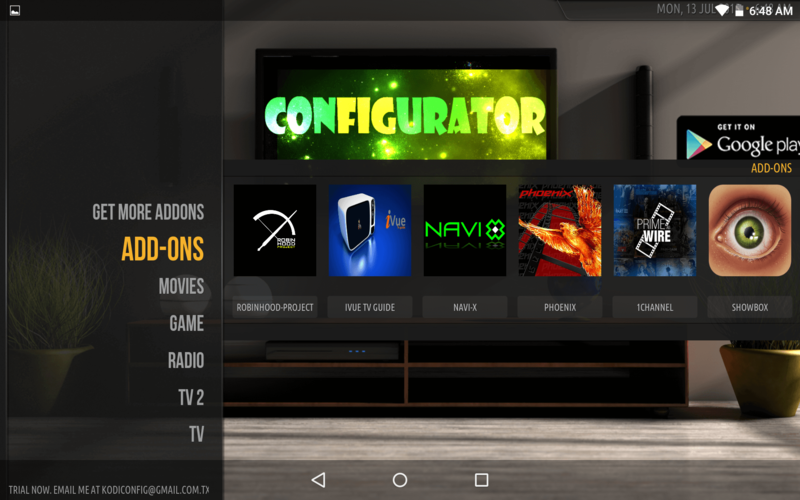 Kodi Configurator is an app, available on Google Play, which you can use to configure a fresh install of Kodi with settings that enable you to maximize the performance and content of your HTPC. The effect is dramatic: a Kodi install with no addons enabled or settings modified, suddenly turns into a fully functional media center setup, with addons (which are downloaded automatically) and a beautiful appearance. If you have an Android TV Box and use Kodi for Android, then this app is for you. It basically consists of an user creation, which is highly automated, and once your user is created, the app presents you with a button labeled “Start”. Upon clicking this button, Kodi Configurator will configure Kodi with the most useful options according to your hardware, software and other aspects of your install. The wait time is minimal, and a progress bar marks the status of the overall process. Once finished, Kodi Configurator will have given a total makeover to your Kodi interface, re-skinning it as if it were a virtual living room. On the right you will find a wealth of content ready to be streamed. There are movies organized by language, there are two IPTV menu options, as well as radio and game options. There is also a Kodi addon menu, with some addons being downloaded when you install this config wizard for Kodi, and other addons being just a click away, ready to download. The good part about using this software for your Kodi auto setup is that there's absolutely no intervention required from you, other than creating your user (which is very simple) and pressing start. You can be watching content with great quality and have a bunch of options ready to enjoy, just 5 minutes after installing this application. The streaming options for movies are plentiful, and since the app is available on Google Play, it gives you that sense of it being actively supported. In fact, my install updated just this morning, in a completely automatic and silent way. The official website for Kodi Configurator offers a way to reach out to the developing team, in case you need further support while using this application. No matter if your device is a low end Android TV dongle such as the CX-919 Android stick, or rather a high-end device such as the NVIDIA SHIELD TV Pro. If your device can run Kodi for Android, it can run Kodi Configurator, which is a great way to setup your HTPC if you cannot be bothered to fiddle with settings and other technicalities yourself, and instead want a nice content experience from the comfort of your couch, without having to mess with a big number of downloads or options. 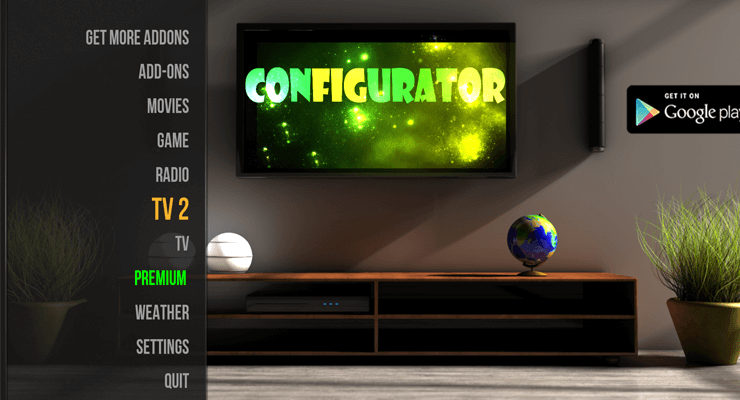 You can of course alter the configuration at any time after using Kodi Configurator, so the only drawback of this app is actually the fact that it is not available for other platforms.